Elegant 14K Yellow Gold Dove Pendant with Heart Pendant. 14K Yellow Gold Box Chain (optional), in 18" or 20". 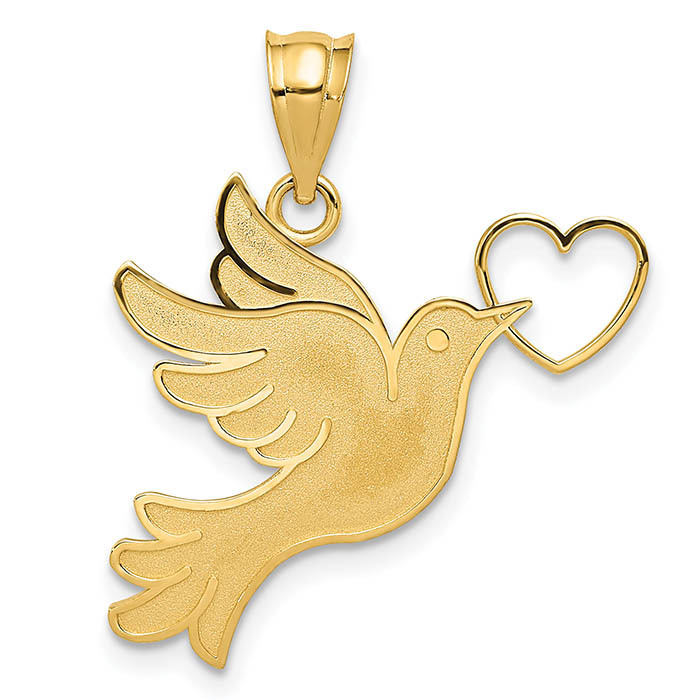 We guarantee our Dove with Heart Pendant, 14K Yellow Gold to be high quality, authentic jewelry, as described above.